Our goal is simple. We strive for every customer’s total satisfaction. We work to achieve this with honest, professional, no frills service, and clear communication. We are auction members with bidding privileges at all the dealer’s auctions in Japan. JCD’s customers are supplied with auction memberships enabling them to search at their leisure, and see the auction reports and photos of over 150,000 vehicles per week at the over 110 weekly dealer auctions. We provide professional inspections of all vehicles to assure that they meet customers’ required spec and condition before purchase. We source vehicles from auctions, dealer’s lots and private sellers. After being purchased the vehicles are transported to the nearest port for export to the required destination. Honesty is the principle that we pride ourselves on most. We are here to serve all of our customers in a straight forward and ethical manner. We work with an “open book” policy. All documents related to every purchase are scanned and emailed to our customers for confirmation. When working with JCD, customers are always aware of where every yen is being spent. As is a well known fact around the world, the Japanese are extremely hard working people. Being an island nation, they have been forced to cooperate with each other over 1000’s of years. This cooperation is molded by the strict hierarchical structure of their society. In fact, every Japanese person has an inherent sense of responsibility to respect and obey those Japanese that are older than themselves. This very rigid system may stifle creativity to some degree, but it is the cement of a consistently high quality service industry, and a never ending work ethic. 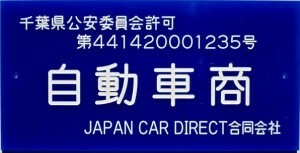 JCD takes full advantage of the Japanese work ethic, and excellent infrastructure to bring our customers top quality vehicles at the lowest possible prices. 1. First we identify the best vehicles depending on our customer’s needs, and translate the auction reports giving a clear understanding of each vehicle’s history, and present overall condition. 2. After our customers select the vehicles that they want to bid on, we have an additional inspection done by a professional third party vehicle evaluator. This is done to ensure that there are no discrepancies between the vehicle’s actual condition, and the auction house report. 3. If the condition of the vehicle is confirmed to meet our customer’s specifications, we place a predetermined bid on their behalf. 4. When the vehicle is won at auction, it will be transported directly to the nearest port. It is then parked in our shipping agent’s gated yard at the port for free. 5. The vehicles are exported on the next available ship, either RO/RO, or in containers depending on our customer’s needs and vehicle condition. JCD has contracts and excellent working relationships with the oldest forwarder in Yokohama, The Keihin Co., Ltd., Eastern Car Liner, Autohub and Toyofuji, giving us access to ports around Japan, and ship bookings worldwide. 6. After the vehicles have been loaded, and the ship has left the Japanese port, JCD will courier all the necessary documents to our customer for them to pick up their vehicle at the designated port. Alternatively, JCD can assist our customers in using local brokers to have their vehicle cleared through customs, and then either picked up at the port, or transported to their door. JCD delivers excellent valued vehicles, in a timely and professional manner. Whatever your vehicle import needs, JCD is the solution. We own the business, no middleman. For more information please contact JCD today.